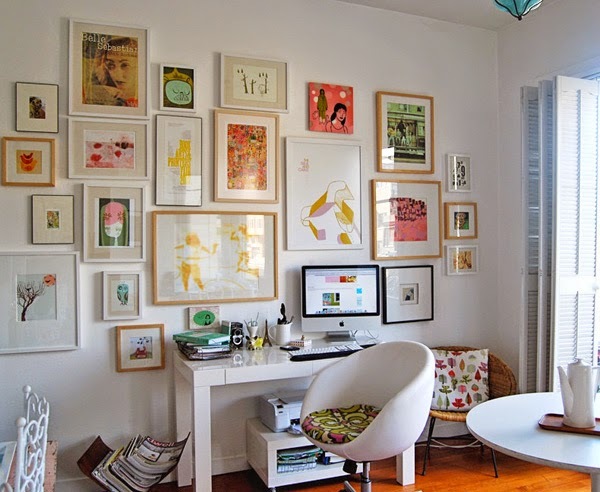 There is something about a Gallery Wall in a space that I have always loved. I knew I always wanted one, but frankly, when I finally decided to get one, I didn't know where to start. Thanks to Pinterest and the internet for inspiration and how to go about it. From what I know, a gallery wall should tell a little bit about who you are without having to say much. It can be a mixture of family pictures, art or random things that represent you. Putting one together is pretty affordable. Living in a townhouse with limited space, I decided to utilize the wall leading up to the second level of my home. I wanted an eclectic mix of frames, art ,quotes and prints of things I love.